There may come a time when you need to move a file from it's original folder and/or workspace. 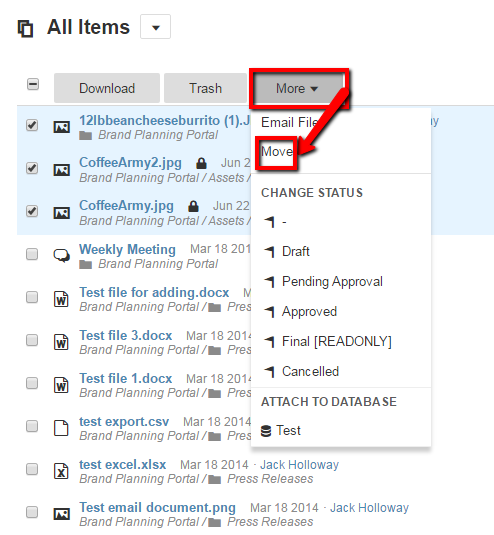 Moving files to a different workspace can be accomplished via the bulk actions menu. 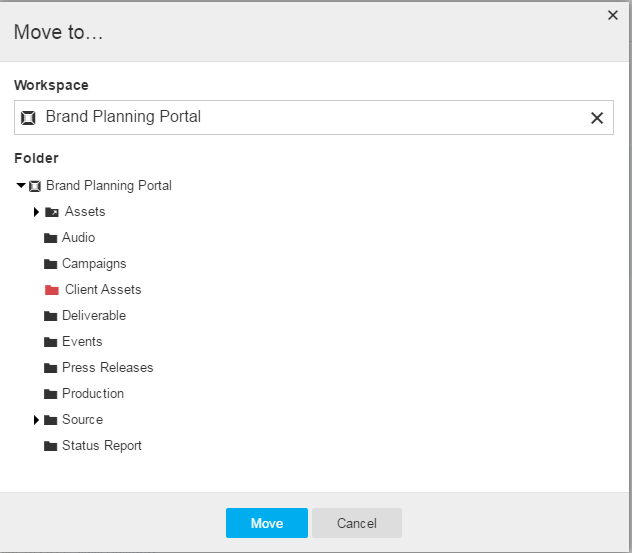 Moving files to a different folder in the same workspace can also be accomplished via the bulk actions menu, or via drag and drop. 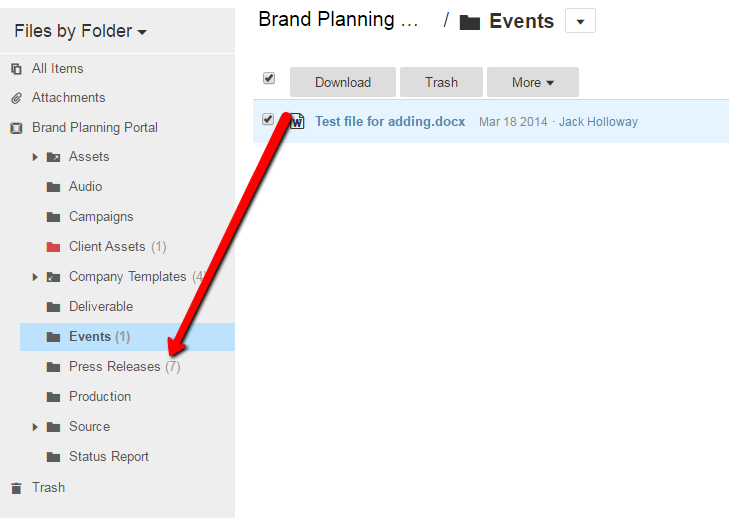 To move files via the bulk actions menu, simply click the check box to the left of the file. After you check checkbox on the left, a More button will appear. Select this button, then select Move. From here, you can choose which workspace or folder that you would like to move the file(s) to. Note: The workspace that you are currently in will be selected by default upon opening this menu. 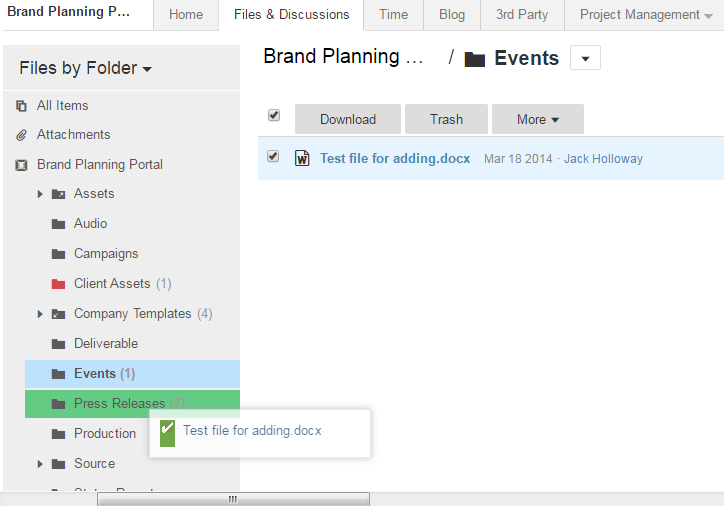 If you have selected the file correctly, you will see a green check mark appear as you are dragging the file over. To drag and drop multiple files, check the checkbox to the far right of the files so that all of the files you would like to move are highlighted, and then proceed to drag and drop them into a folder.